Countless times have we heard the story of how Steve Jobs started Apple from his parents’ garage. That garage was even named a historic site for being the location where the first 100 Apple computers were assembled. The lure of the kind of garage tinkering that results in a multi-billion-dollar corporation remains. It’s an entrepreneur’s dream story. But Jobs was in his 20s then, and he wasn’t balancing this new endeavor with parenthood, as many entrepreneurs do. Successful work-from-home entrepreneurs are multi-taskers; they’re self-motivated, and sometimes they follow up a big sales call by packing their kid’s lunch. Their challenges are different from office-goers. In 2013, 20% of Americans were working from home, including both telecommuters and entrepreneurs. This jumped to 45% in 2015. Predictions are that 50% of the global workforce will be working completely remotely by 2020. Here’s a look at the intersection of parenthood and work-at-home entrepreneurship. Some entrepreneurs have used their parenthood as an integral inspiration for their business. The founder of Baby Einstein, Julie Clark, began with the desire to create a Barney alternative for her own kids. Starting the business in her basement, she developed a series of books and videos that teach children about music, art, poetry and language. She said, “I knew what babies liked, because I spent all of my time with one.” Her concept was a fast success. After pioneering just five years and generating $25 million in revenue with the help of her five employees, she sold her company to Disney. Following this, Clark continued to tap her life experiences for ideas for businesses and products. She went on to create a video series to educate kids about the Internet and other safety issues, as well as a line of maternity clothing that is designed to help moms protect their clothes while they are using anti-stretch-mark products. This balancing of home life with your work applies to all fields. Even musician Sam Beam of Iron and Wine recounts how his morning songwriting routine is structured around the daily tasks of picking up and dropping off his kids at school. He describes how he uses the structure of his kids’ schedule like “punching a clock.” As many creative workers have said, a wide-open, unscheduled day can be an abyss of unproductivity. Adding some structure to your time can help with focus and productivity. In Beam’s case, it was structure generated by outside forces, but it can also be a self-imposed structure that you develop. Cognitive psychology researcher Tom Ward has performed experiments that demonstrate that placing constraints on brainstorming sessions results in potential solutions that are much more creative and innovative. Many successful entrepreneurs have a routine or daily pattern that they find to be useful. For example, American Express CEO Kenneth Chenault ends his day by making a task list that he’ll use to start the next day. Maybe rather than keeping your work separate from your family, you have an enterprising child who wants your help starting a business. Arian Mahmoodi works with his dad, Farzad, who is a supply chain management professor at Clarkson University. Together, the two launched SellYourOldiPhone.com, which purchases broken iPhones, refurbishes them and resells them at a profit. Farzad says his students don’t always take his suggestions, but his son does. Smartphones allow you to keep tabs on your business while you’re on the go. While waiting in line, you can quickly respond to an email so the project can keep moving forward. Just about anything you’d do from a home computer can be done with your phone or tablet, including updating your calendar, writing a blog post, logging your bookkeeping expenses and reviewing your cloud documents. 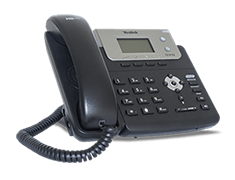 But the telephone part of your cell phone may be one of its most important features. Jeb Blount, the CEO of Sales Gravy, said that during the early years of his business, he was on the phone 12 to 14 hours per day and using email only to support all of that dialing. Because you can’t always be at your desk, today’s technology enables you to connect with people as though you were in your office, even when you’re on the way to soccer practice. 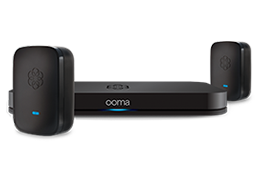 The Ooma SMB phone with Mobile app has a forwarding service so you’ll never miss a call, and the call number will always show your office line so your presentation will remain professional. Flexibility is important to Richard Branson. During his career, “the kids have literally grown up crawling at my feet,” he says. Changing diapers during phone meetings has been a part of his life as an entrepreneur dad, and his company’s work-from-home policies allow his employees the flexibility to do the same. He has said on many occasions that giving employees freedom and flexibility is beneficial to the company’s bottom line. If staff are happier and have balanced lives, their ideas will be fresher and more on point. And giving employees the trust that they are working hard will earn you their loyalty. Zappos CEO Tony Hsieh also believes in the integration of work and life, rather than the separation of it. “Work is life, life is work. When work is something you are passionate about, it’s not about work or life; it’s just life,” he says. Rather than keeping jobs contained within a cubicle, our emails are carried around with us in our pocket, so the integration is already happening. Hsieh has a holistic perspective that encompases work-life and home-life as both part of the single experience of living.